Select your perfect new Volvo from our range of passenger, SUV and wagon models. With only limited kilometres, an ex-demonstrator may be the ideal car for you. The smartest way to buy a quality pre-owned Volvo - with our commitment to your satisfaction. Financing your vehicle is simple and stress free with the team at Volvo Cars South Yarra. From one to one hundred Volvos - Volvo Cars Fleet can assist. Nothing can match the quality, design, cutting-edge technology and driving experience of a new Volvo. Explore our latest offers and see why there's never been a better time to own a Volvo. Explore Volvo Cars South Yarra's latest local offers. We aim to create a new approach to service that's personal, efficient, and which takes care of you in addition to caring for your car. Make it your own. With a wide range of accessories for each model available you can put your own touch on your new Volvo. With Genuine Parts, you can enjoy faster repair times and optimal performance. Peace of mind ownership. Choose from one of our comprehensive service plans today and drive easy. All Volvos come standard with a three-year new car warranty policy, which starts on the date of the first registration. However, we also offer the option to extend this coverage by either 12 or 24 months. As a valued Volvo owner, you will enjoy complimentary roadside assistance for the duration of your Volvo warranty - both new and extended warranty policies. Welcome to Volvo Cars South Yarra. The Swedish way to a better life. We are always looking for good people to join our company. Omtanke is our journey. It's our belief. We welcome you to try it. 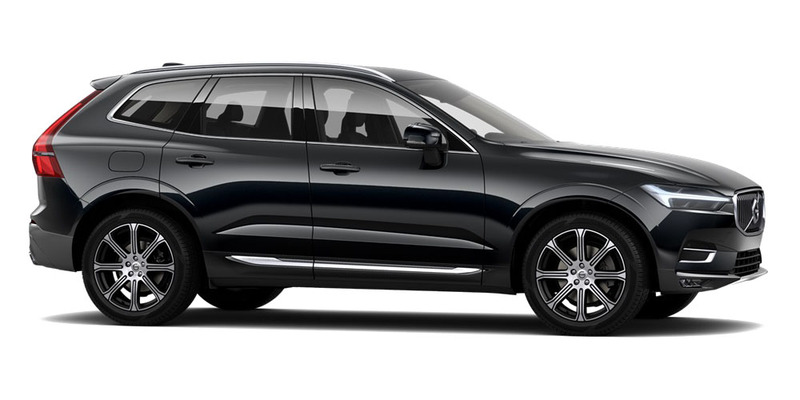 I'm interested in a New 2019 Volvo XC60 UZ T5 Inscription Suv (stock #N117595).